Facebook isn’t a true PayPal (s ebay) competitor, but it’s taking some steps toward becoming an online payments provider outside of its Facebook properties. 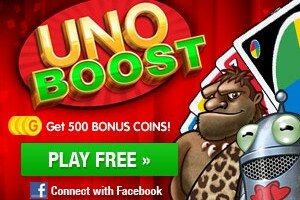 The social networking giant has begun testing the use of Facebook Credits on two games, Uno Boost and Collapse! 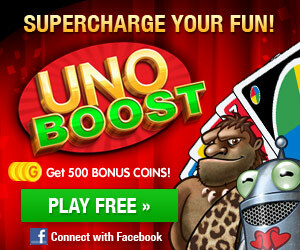 Blast, both available on gaming portal GameHouse. In the test, users of those games will have only one choice of payment option, Facebook Credits, instead of the usual GameHouse options of paying by credit card or PayPal. Players will be able to integrate their game experience of these games on both GameHouse and Facebook and pay for goods from one funding source. Facebook and GameHouse, a unit of RealNetworks (s rnwk), are looking to see how players react to the option, which will determine how each proceeds with Facebook Credits. This could be a big springboard for Facebook to become a major payments player if it aggressively takes its Facebook Credits to other properties on the web. It’s already made Facebook Credits mandatory for gaming apps on Facebook as of July 1 and an option for other Facebook apps. It recently extended credits to mobile app developers who want to build HTML5 apps on its mobile platform. It was also allowing people to pay using Facebook Credits for things like Facebook Deals. If it can leverage its relationships with Facebook Connect publishers, it can offer a fast and easy payment alternative to credit cards, PayPal or other phone billing options. Facebook would likely have to lower its cut of transactions, which is currently 30 percent for Facebook developers, if it wants to move beyond virtual goods. But if it got it down to a percentage that was competitive, say around 5 percent or so, it could build off the many Facebook users that already have Facebook Credits. Websites like GameHouse, as well as independent game developers, may stand to benefit if they can drive more transactions with the help of Facebook Credits. As I wrote before, this could be a stepping stone to Facebook Credits becoming a larger payment service. Right now, it’s not really participating in that battle, but if it can tap its existing relationships with more than 800 million users it might be able to put together a formidable mobile payment competitor. As Erick Tseng, head of mobile products for Facebook, told the crowd at GigaOM’s Mobilize conference last month, the social networking giant is increasingly becoming a mobile company. It stands to reason that Facebook would love to see how far it can take Facebook Credits and make it into a tool that can start with online mobile transactions for virtual goods but could transition into something bigger, first with purchases of physical goods online and then, who knows, perhaps into offline transactions. That’s a long ways off, but it’s not unheard of. PayPal is making the transition from an online payment company to one that is now poised to target point of sale transactions. Facebook obviously would need to do a whole lot of work to follow in those footsteps. And it has a lot of hurdles in becoming a major payment player: Ogilvy & Mather conducted a survey and found that Facebook was the least trusted option for mobile payments trailing Visa(s v), MasterCard(s ma), American Express (s axp) and PayPal by a wide distance. But I wouldn’t be surprised if Facebook is eyeing this market. Mobile payments is booming now and expected to become a $670 billion market by 2015. But it starts with small tests like the one with GameHouse. GameHouse president Matthew Hulett said the test will help drive more users to GameHouse as it tries to expand its business to both social and mobile. He said he’s looking forward to bringing Facebook Credits to its 75 mobile apps as well. “People already have cash balances on Facebook and the amount of friction this reduces is so much greater for us, we haven’t seen any negative impact on us using Facebook Credits after the mandated date of July 1 and I’m very confident consumers like to pay this way,” he said. Hulett said he believes though its early Facebook Credits could be a big driver of revenue for Facebook, similar to how PayPal has become the main engine of growth for eBay. That will still be ways off, but if Facebook plays its cards right and learns important lessons along the way, it might not be a stretch. I think facebook credits should stay within facebook and not take it outside. Although, this would make for an unusual feed..everyone getting a feed on what you purchased. Everytime I purchase an item with the game karma kingdom..all my friends can see what I purchased. Facebook needs to take it’s Credits and integrate with Apple (iTunes) to gain any legitimate traction in this space. That’s the obvious and only solution.